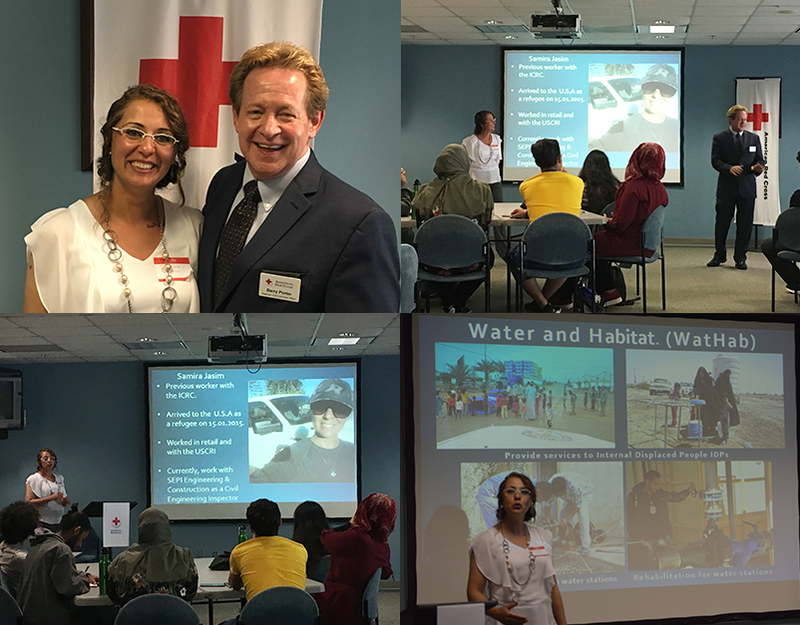 Samira has volunteered with the American Red Cross since May of 2015. In August, she led a session about the International Movement for 16 international students in Durham, NC. “With all of the hate all over the world, people need to learn about love. And they need to learn about law because it helps keep order,” Samira said. Samira helped explain the Red Cross International Movement – the largest humanitarian network in the world. Samira spent two years working for the International Committee of the Red Cross (ICRC) in Baghdad, Iraq, before coming to the United States as a refugee with her family in 2015. At the ICRC, it was her responsibility as a communication officer to work with media, organize missions in the field for journalists, and serve as a liaison between the ICRC and local authorities. Often, she risked her life in war-torn cities to help those in need.